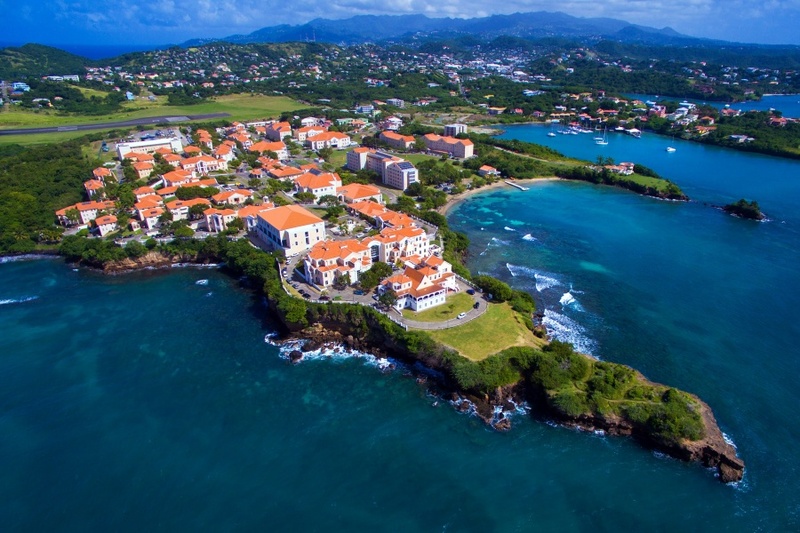 St. George’s University (SGU) is a centre of international education, drawing students and faculty from over 140 countries to the island of Grenada, West Indies. St. George’s is affiliated with educational institutions worldwide, including in the United States, the United Kingdom, Canada, Australia, and Ireland. The University programs are accredited and approved by many governing authorities. SGU was the first private medical school in the Caribbean, and the first to be accredited by the Caribbean Accreditation Authority for Education in Medicine and Health Professions (CAAM-HP). Its 15,000+ graduate physicians in the global healthcare system have been licensed in all 50 states and Canada, and have practised in over 50 countries around the world. Graduates of the medical school are often matched in the residencies of their choice and in the past five years combined, St. George’s University has placed more doctors into first-year US residency positions than any other medical school. SGU offers medical, veterinary, and liberal arts programs, including an AVMA-accredited DVM and CEPH-accredited MPH program. A variety of partial and full-tuition scholarships are available based on academic excellence and/or need. Why Choose St. George’s University (SGU)? SGU is the only international medical university fully approved in the United States, Canada and in the U.K.
St. George’s University has over 15,000 graduates in medicine who follow the philosophy of global education and apply their education at home and abroad. SGU graduates are pursuing professions or further education in over 50 countries around the world. They establish themselves in rewarding careers, having been enriched by their world network of colleagues and lifelong friends gained at St. George’s University. As part of their post-graduate training, medical students do a residency: additional training in a clinical setting such as a hospital or clinic. The majority of SGU medical graduates are US citizens or permanent residents, and therefore seek residency training in the US. St. George’s University is the #1 provider of doctors into first-year US residencies for the last eight years combined, with more than 900 US residency placements in 2018…and counting. St. George’s University graduates have gained registration with medical licensing authorities in over 50 countries worldwide. The University provides various bursaries: Academic and Humanitarian bursaries are available among many others. Enquire about studying at St. George's University.